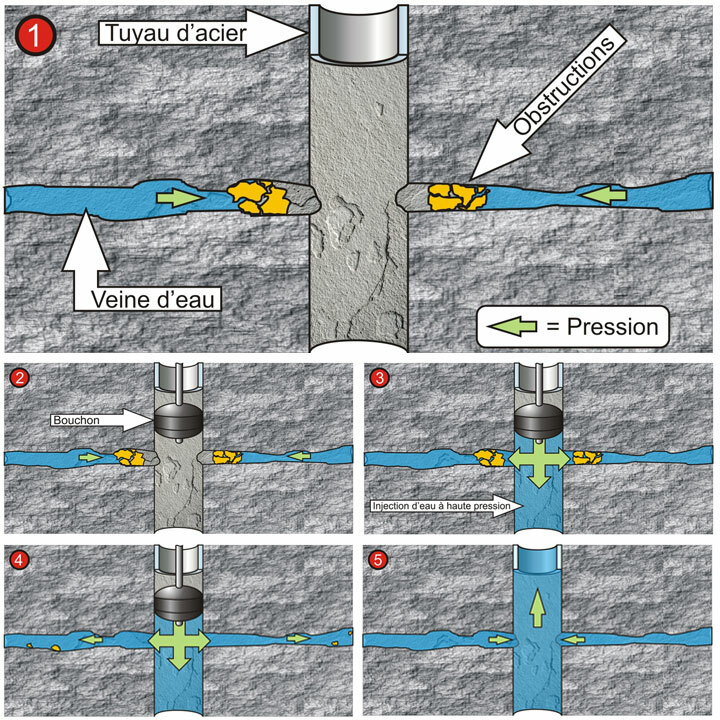 Hydraulic fracturing works by opening one or more channels through old water seams that have become blocked, by using a system that injects clean water at high pressure. This process is only used on wells that cannot be brought back into full use. By opening old channels in the rock there is a good chance that the well can be brought back to a level that is adequate for your needs.